Hamilton, Ontario, sitting on the western shores of Lake Ontario, is at the center of the Golden Horseshoe. Located in Southern Ontario, approximately 70 kilometers from Toronto, this metropolitan area has a population of 692,911. 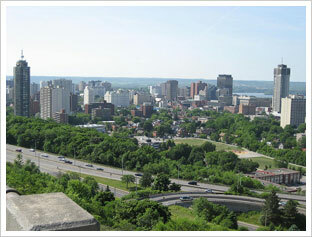 Hamilton is the third largest metropolitan area in the province, and ninth largest in the country. This port city is a densely populated and vibrant industrial city. 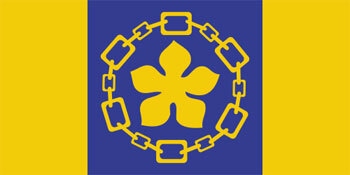 Hamilton is considered to be the ‘Steel Capital of Canada’. An estimated 60 percent of the country’s steel is produced here. Steel and heavy manufacturing has, historically, made up the area’s economy. However, in recent years, there has been a visible shift towards the service industry—especially health services. The arts have also seen a terrific surge in popularity, with a number of television and film productions moving to the city. In 2005, the Center for Addiction and Mental Health (CAMH) conducted an exhaustive study on drug use among the Ontario student population, Grades 7 through 12. The Ontario Student Drug Use Survey (OSDUS) found that approximately 30 percent of students reported elevated psychological distress—a factor contributing to both drug use and abuse. Approximately 62 percent of those surveyed reported drinking alcohol in the 12 months leading up to the study, with at least 10 percent reporting at least one drink per week. Furthermore, 30 percent of Grade 12 students surveyed have drinking habits that are categorized as ‘hazardous drinking’. After the release of the CAMH survey, the City of Hamilton conducted an in-depth study on their students’ drug and alcohol use. The Hamilton Student Drug Use and Health Survey (HSDUS) found that 58.8 percent of students in Grades 7 through 12 consumed alcohol in the past 12 months. Further, 74 percent of boys surveyed and 66 percent of girls reported binge drinking in the past four weeks. The number of binge drinkers rose steadily in the upper grades, with 90 percent of Grade 12 boys and 84 percent girls binge drinking, on par with Ontario-wide findings. Furthermore, the HSDUS found that alcohol is by far the most common substance used. Marijuana and tobacco were reported next most common, with 25.8 percent and 19.6 percent of students using. Stimulants and hallucinogens were still found to be popular among the young population.